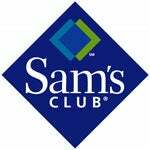 Sam's Club are offering two Nintendo hardware bundles for Black Friday. One you've seen (twice), and offers a Wii plus the kitchen sink, the other, you haven't, and offers you a DS and a bunch of girly crap. Here's the Wii deal. $425 gets you a Wii, two games (Mario Super Sluggers and King of Clubs), two extra Wii Remotes and three nunchuks. If you're in the market for a Wii, extra controllers, a novelty sports game and a piece of shovelware, it's perfect. Here's the DS deal. As you can see, it's for the ladies. The small ladies. It's got a a Metallic Rose DS, two games (Nintendogs and Purr Pals), a Princess Peach "Bling Kit" and a Princess Peach case. All for $200.